Premise: The game begins with seven contestants racing through an obstacle course. The first contestant to reach the buzzer at the finish line will have a to remain in the game by spelling a word correctly. 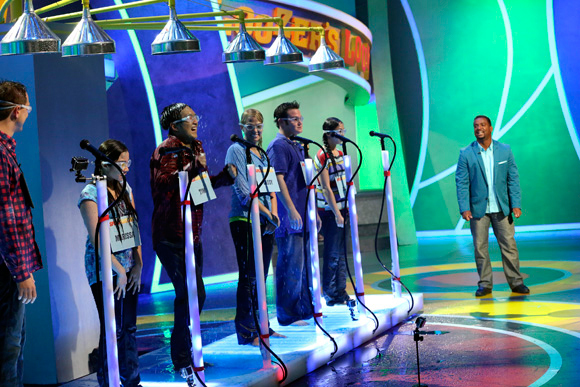 The round ends when six contestants correctly spell a word. All eliminated contestants are sent to the “Loozer’s Lounge”. In the second round, the remaining six contestants will continue to spell increasingly difficult words until two contestants get two strikes. In the third round, the remaining four contestants must spell as many words correctly as possible in 60 seconds. At the end of the round, one contestant from Loozer’s Lounge will be voted back into the game through a majority vote by the studio audience. In the fourth round, the remaining three contestants must continue spelling words until one contestants spells three words incorrectly. The final round, Sensory Overload, the final two contestants will have 60 seconds to spell words correctly while being distracted with flashing strobe lights, loud music blaring out of speakers and flashing monitors. Both contestants will spell the same words at separate times and whoever spelled the most words correctly, wins the Spell Medallion and $10,000. In some of my previous news updates about Spell-Mageddon, I compared the show’s format as being like a mixture between Distraction and the Scripps National Spelling Bee. After watching the premiere episode, I am also adding Wipeout to the concoction. Spell-Mageddon is a very fun and amusing game show to watch. It’s a little cheesy and corny, but it works for this “family-friendly” network. It has all elements needed to produced a great game show: speed, strategy, knowledge, physical and mental endurance and skill, suspense, high stakes and a hint of comedy. The increased difficulty in the words are appropriate for each round of gameplay. I also like how the producers added a few “curveball” words in the third round that might be commonly misspelled, especially when placed under pressure. The moments that stood out the most in the first episode of Spell-Mageddon was the very colorful set, something that you rarely see that in game shows nowadays other than The Price Is Right, and how suspenseful and intense the “Sensory Overload” end game is. Just imagine spelling all of those words at five letters a second under the immense pressure of outdoing your opponent and the makeshift environment. But, I digress. I loved Alfonso Ribero on Catch 21 and he carries over that same enthusiasm, excitement and energy into hosting Spell-Mageddon. He engages well with the contestants and doesn’t mind ribbing them from time to time. However, I don’t like the producers using voiceovers in the middle of the show while Ribero is talking to the contestants. As you may have heard on Deal or No Deal or on NBC’s fast-forgotten summer game show It’s Worth What, the voiced-over parts are definitely noticeable. The only other problem I have with this show is the grand prize. As intense as Spell-Mageddon is, I believe the $10,000 prize needs to upped to at least $25,000 or give the winning contestant a chance to double or triple their winnings by spelling an extremely difficult word in ten seconds. 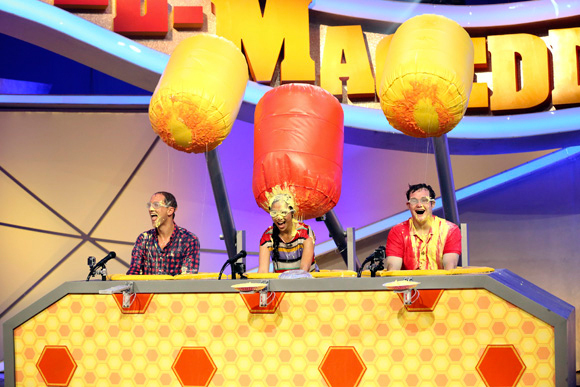 Overall, Spell-Mageddon is a terrific game show filled with hilarious physical and mental challenges and the contestants reactions to these stunts are priceless. 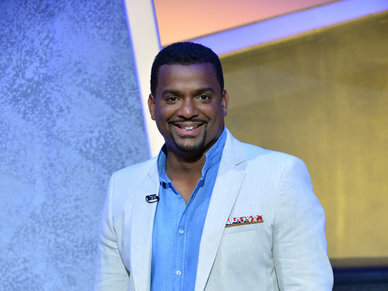 It’s nice to ABC Family producing game shows again after straying away from the genre for more than a decade. Spell-Mageddon is a great addition to ABC’s Family’s Comedy Wednesday lineup. I hope this show has a healthy run on the network, but I predict this show will last for at least two seasons. Watch new episodes of Spell-Mageddon Wednesday nights at 9:00pm EST on ABC Family!